Moving the UK’s time zone forward by an hour could save thousands of lives and benefit British businesses after Brexit, according to new research. The Royal Society for the Prevention of Accidents (RoSPA) is suggesting using GMT+1, currently British Summer Time, to extend daylight hours into the early evenings, and moving to GMT+2 during the lighter summer months. As casualty rates are at their highest between 8am and 10pm, and 3pm and 7pm, the charity says this would save around 80 lives per year, and prevent more than 200 serious injuries. 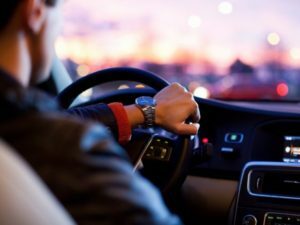 It cites a 2009 report from the National Audit Office which showed, between 2000 and 2007, that pedestrian collisions rose 10% in the four weeks following the clocks going back, compared to the same period before. It anticipates a slight increase in morning accidents, and around a £5m administrative and publicity cost to make the change, but said this would be negated by a reduction in collisions during the evening and a £138m boost to the economy through energy savings, help for businesses and more opportunities for the sport and leisure industry. A study by Cambridge University had shown this could also cut CO2 emissions by 450,000 tonnes each year. Using this system would also align British working hours with continental Europe, which RoSPA said could help with cross-border business after Brexit, as this is the region with which the UK does the most trade. British Summer Time ends on the 29th October, after which the clocks go back an hour, to Greenwich Mean Time. Suggestions for reform of this system were last discussed in parliament in 2012.